USC Norris: About USC Norris : Leadership : Amy Lee, Ph.D.
USC Norris > About USC Norris > Leadership > Amy Lee, Ph.D.
Amy S. Lee, Ph.D., is the Associate Director for Basic Research at the USC Norris. Dr. Lee, Professor of Biochemistry & Molecular Biology and the Judy and Larry Freeman Cosmetics Chair in Basic Science in Cancer Research, strikes a collaborative chord at the USC Norris, emphasizing the harmony of interactions between basic scientists and clinicians. Individual scientists working in a vacuum, very narrowly focused on a topic, no longer can keep pace with the fast track of discovery, she says. Dr. Lee intimately understands the world of basic research. Recruited to USC in 1979 as an Assistant Professor of Biochemistry from the California Institute of Technology, she has devoted 25 years to two major areas of research. The first is towards understanding the molecular mechanisms that mammalian cells use to manage physiological and environmental stress - such as the stress of cancer. The other involves investigating how and why cells go through the cell cycle. Dr. Lee earned her doctorate in Biology and Biophysics in 1975 from Caltech, with a major emphasis on fundamental knowledge of DNA, protein and cells. She has received an American Cancer Society Junior Faculty Research Award and Faculty Research Award, the USC University Scholar Award, and the National Cancer Institute's MERIT Award. In recognition of her pioneering work on ER stress and its impact on cell and cancer biology, she was elected Fellow of the American Association for the Advancement of Sciences (AAAS) in 2006. 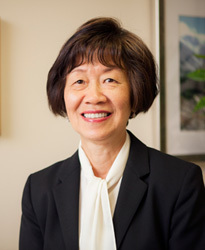 She was the recipient of the Chinese American Faculty Association Achievement Award in 2008, the USC Mellon Mentor Award in 2012 and the Phi Kappa Phi Faculty Recognition Award in 2015.